"Predictive Analytics: The Power to know what's likely to happen"
Group Discussion : What are the risks in using Predictive Analytics? 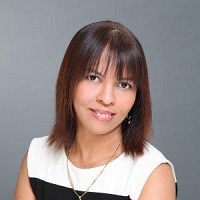 Dr. Hargreaves, worked as Chief of the Master of Technology Enterprise Business Analytics Programme at the Institute of Systems Science, at the National University of Singapore, where her roles included: designing business analytic courses, teaching, consulting & research in business analytics. For over 20 years, Dr Carol Hargreaves has worked with a variety of industries to make businesses more intelligent. More specifically, she achieved this through the red hot science called business analytics. Holder of a PhD in statistics, Dr Hargreaves’ extensive credentials in the field include working as a Quantitative Methods Manager at Cegedim Strategic Data in Australia providing market research analysis for pharmaceutical giants such as Pfizer, Novartis and Merck Sharp & Dohme. For three years, she was also the Advanced Analytics Statistician at Synovate Aztec in Australia, where she developed sales and marketing models for food manufacturers like Nestle, Masterfoods Australia and Goodman Fielder. She also previously served as a biostatistician at the National Health Medical Research Council at the University of Sydney and Head of Department for the Department of Statistics at the University of Durban-Westville. Dr. Hargreaves holds a PhD in Statistics from the University of South Africa and a MBA from the University of Wales (Cardiff). She was awarded the Foundation of Research and Development Scholarship in 1988, and Head of the Department of Statistics at the University of Durban-Westville in 1989 and 2000. Dr. Hargreaves has published several research papers in Business Analytics, Hospitality & Tourism, Inventory Systems, Stock Trading, Carbon Emission Reduction and Clinical Trials and has presented some of these papers at International Conferences.